British archaeology experts have discovered what they believe to be the world's oldest 'calendar', created by hunter-gatherer societies and dating back to around 8,000 BC. The capacity to measure time is among the most important of human achievements and the issue of when time was 'created' by humankind is critical in understanding how society has developed. Project leader Vince Gaffney, Professor of Landscape Archaeology at the University of Birmingham, comments: 'The evidence suggests that hunter gatherer societies in Scotland had both the need and sophistication to track time across the years, to correct for seasonal drift of the lunar year and that this occurred nearly 5,000 years before the first formal calendars known in the Near East. What a marvelous discovery!! 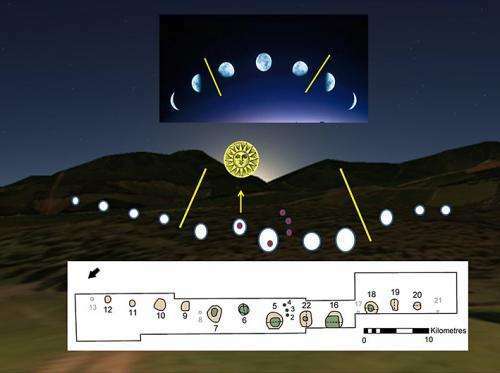 Quite possibly the beginning of the science of Astronomy in the Mesolithic age.